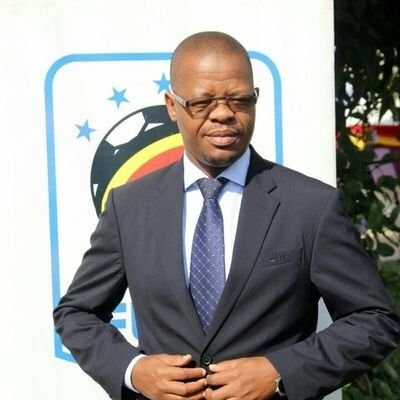 MENGO – The FUFA President Eng. Moses Magogo has thanked everyone who contributed to the Uganda Cranes Journey into AFCON next year in Cameroon. Speaking to the press on Wednesday Morning at FUFA House, Magogo emphasized his happiness with everyone who contributed to football development especially the President of Uganda Yoweri Kaguuta Museveni. “After achieving our project of Cameroon 2019, on behalf of FUFA, I’m here to thank everyone who has made a contribution in your various capacities. Magogo said. “We start by thanking the Almighty Allah, His Excellency the president of Uganda, Minister of Sports, Minister of State, NCS, and Minister of Finance for their continued support. Magogo continued to thank the Uganda Cranes Players for their endless effort, Technical team, CAF, FIFA and the sponsors particularly Airtel Uganda. “I also want to take this opportunity to appreciate the Uganda Cranes for the 7 goals, clean sheets and the entire Technical team. “Not forgetting our dear fans and sponsors for having faith in us and yes also the Media fraternity. The FUFA president never lost hope after the Uganda Cranes failed to qualify for AFCON, he and his team managed to make fundamental changes to see that they rebuild the institution of FUFA with the support of government coaches and players. “After failing to qualify for 2015, we sat in this very room to make fundamental changes, continued the FUFA President. “We did a symposium at Imperial Royale and came out with 8 pillars to rebuild the institutions of FUFA with support of government, coaches and players. Magogo also urged people to listen to critics and also allowed anyone to make contribution to the game and cautioned them not to judge his administration by qualification. “Critics and anyone is allowed to make a contribution to the beautiful game of football. “Don’t judge my administration by qualification because my dream is to create systems so that it is news for us not to qualify. He concluded by saying that Uganda is to host the U20 CECAFA tournament in January and gave a hint on Gulu district being among the centers. “U20 CECAFA tournament is in January here in Uganda and Gulu will be one of the centers. Magogo’s biggest dream is to see the Uganda Cranes participate in 2026 World Cup.